In August 2017, five MINUSMA security guards, one member of the Mali National Police and one civilian contractor working for MINUSMA were killed during an attack on MINUSMA headquarters in Timbuktu. The attack happened at the Aguelhok base in northern Mali early this morning, according to a source close to the United Nations force in the country. Special Representative of the Secretary-General in Mali Mahamat Saleh Annadif said: "This complex and cowardly attack illustrates the terrorists' determination to sow chaos; it demands a robust, immediate and concerted response from all forces to wipe out the danger of terrorism in the Sahel". 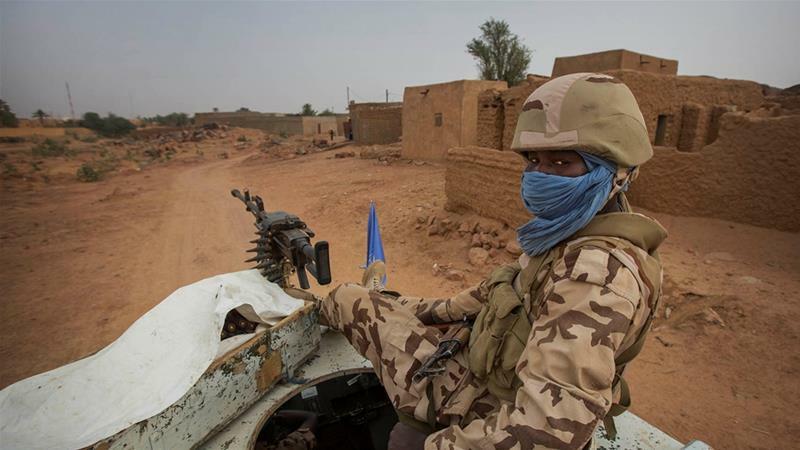 Militants have regularly attacked United Nations and Malian troops since then. On Sunday, France's Defense Minister Florence Parly told French radio that the G5 Sahel anti-jihadist force in the region was resuming its operations. A peace deal between the government and armed groups was signed in 2015, but its implementation has been slow, while attacks continue in central and northern parts of the country. The G5 force comprises contingents from Mali, Mauritania, Niger, Burkina Faso and Chad. And Washington renewed its warning that it would push for changes to the peacekeeping mission in Mali, possibly a major drawdown, if there was no progress.